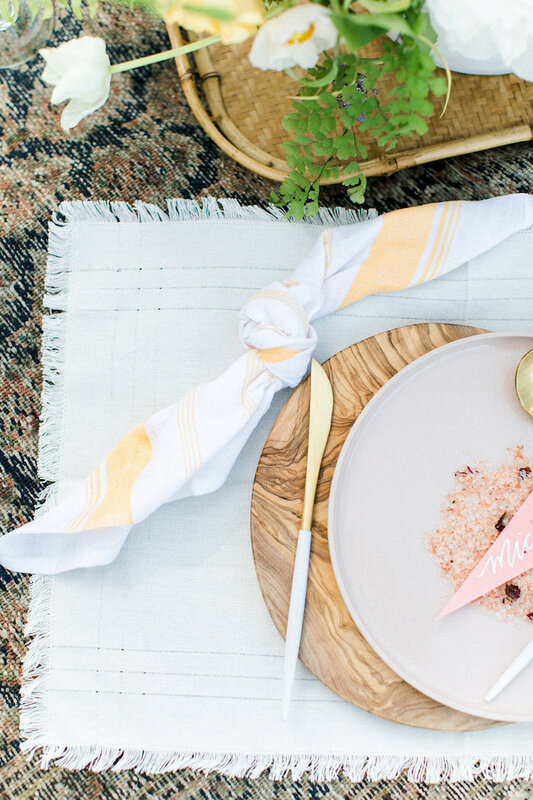 Our friends at Beijos Events put together a Mother’s Day-inspired picnic and included several of our tabletop and home décor pieces to create a beautiful tablescape. 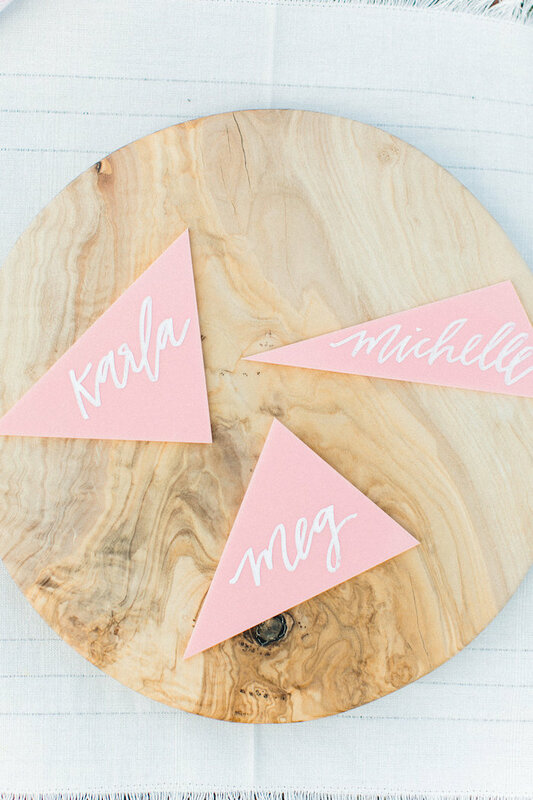 We love how Beijos styled these pretty pink place cards on our olive wood round board that’s artisan-made in Tunisia. 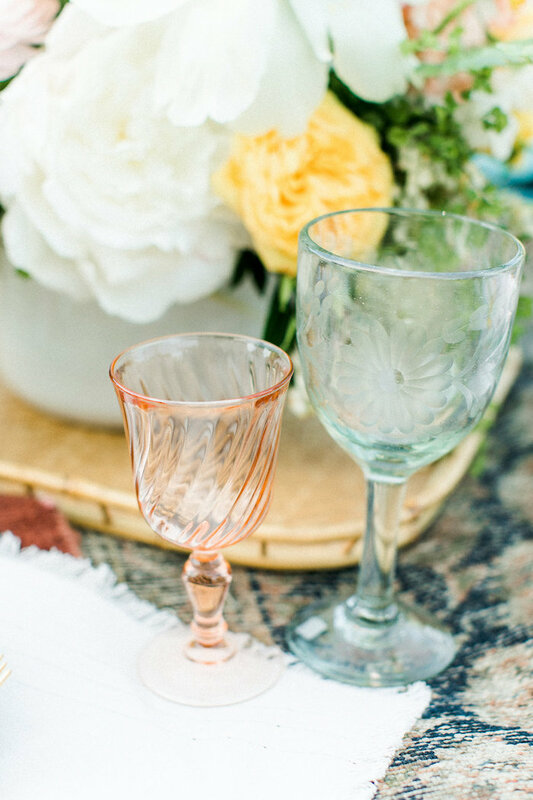 Say “cheers” with this glassware. This clear wine glass was made in Mexico. Beijos Events elegantly tied together all of these artisan-made pieces. The blue floral box is perfect for storing jewelry and accessories, and it’s handmade in India. We could never say “no” to fresh flowers. 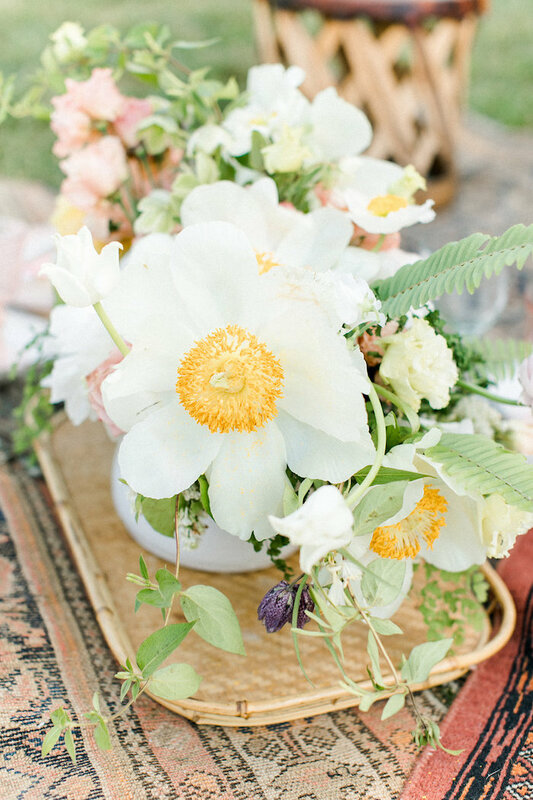 These photo-worthy blooms are perfect for decorating for a Mother’s Day event. 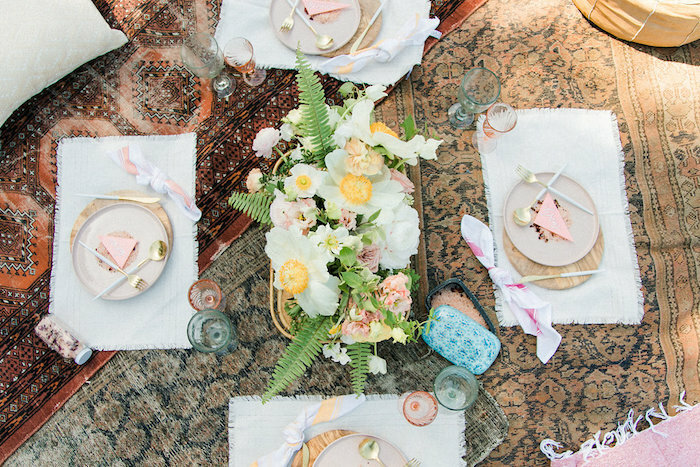 These soft colors set the tone for a Mother’s Day gathering with family and friends. The hand-woven placemat was artisan-made in India. 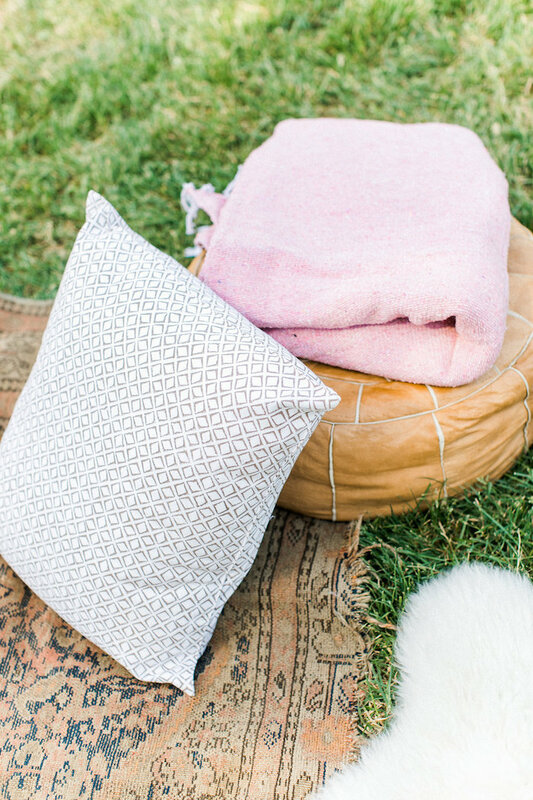 Adding pillows and blankets to a picnic is a fun way to make a small space extra cozy. This stunning pillow is made by artisans following a traditional block printing technique in India. 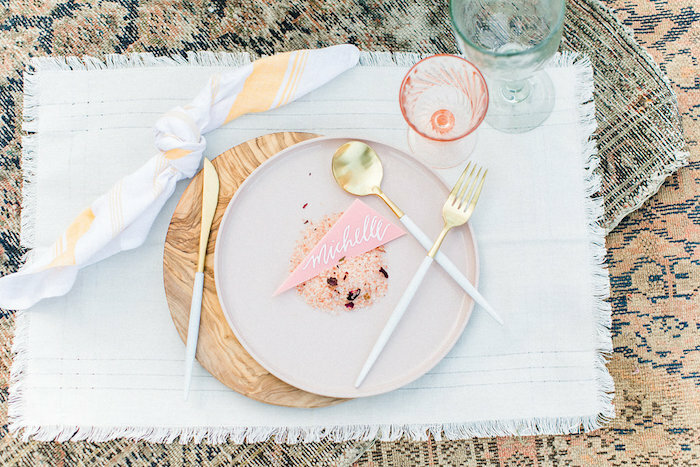 We love seeing the ways Beijos Events styles our artisan-made pieces. We hope this inspires you to create a fun and special Mother’s Day picnic for your mom!